Unlike my Catrike 700 which is set up for speed my Expedition serves a more utilitarian purpose where the ability to climb is important. 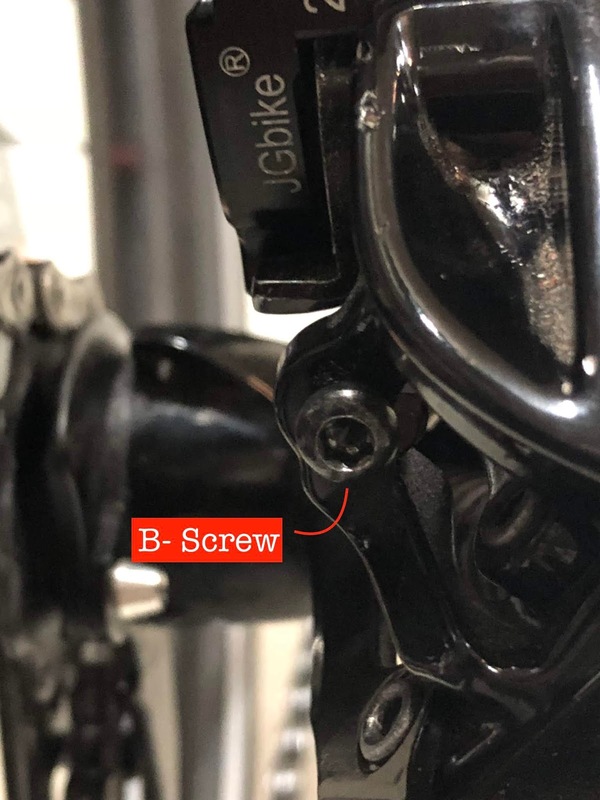 With this in mind I'm installing a 11-42t cassette on my Expedition. 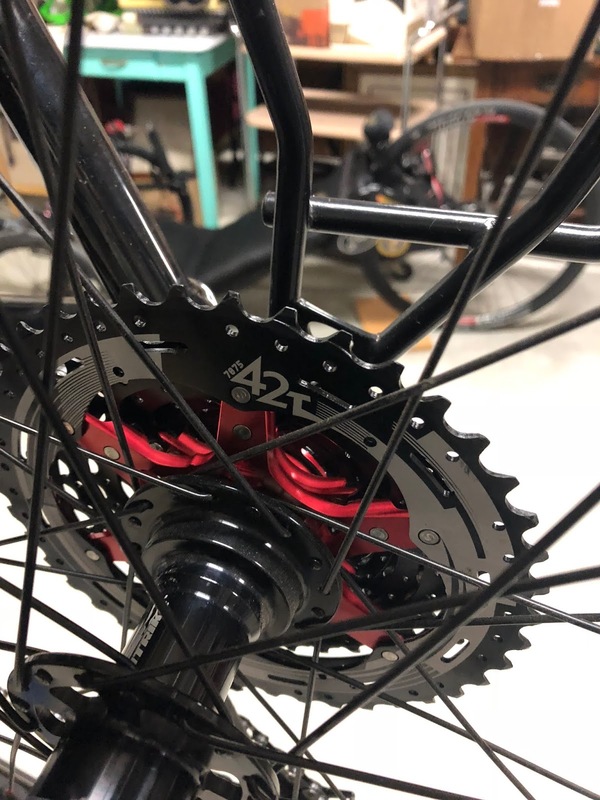 I didn't want to make a big investment so I found an 11-42t that I could use with my existing 10 speed drive train. Most 11-42t cassettes are designed for 11 speed (and more recently 12 speed) drive trains. So there are many more 11-42t cassette and rear derailleur options in the 11 speed world. 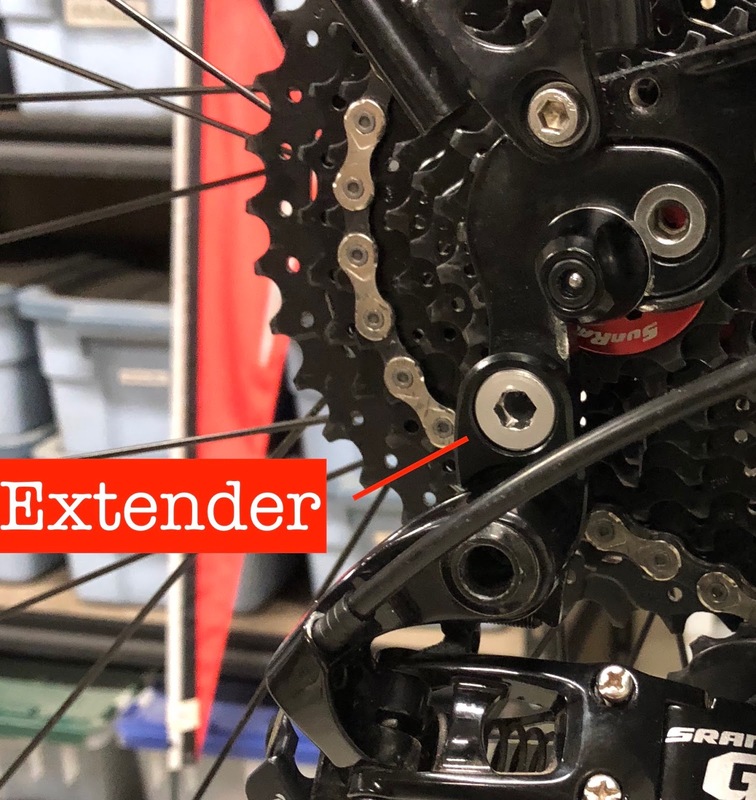 To change over to a 11 speed system would require forking out more money for a new 11 speed derailleur, indexed shifters, chain and possibly new chainrings. 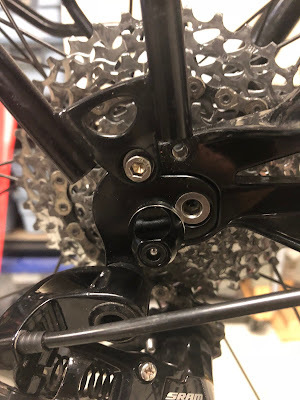 I installed a JGbike Sunrise 11-42t 10 speed CSMX3 cassette. Besides being functional it also looks good. The Cassette also comes with an rear derailleur extender to accommodate the larger 42t cog. 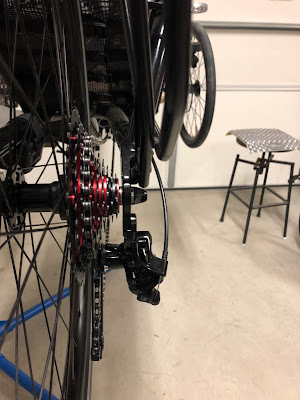 It was easy to install and seems to be solid. 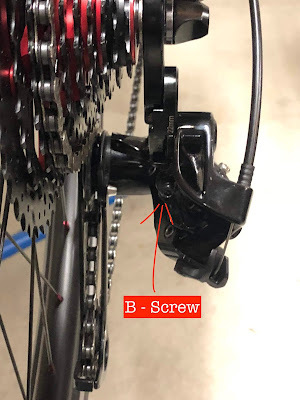 You can also try adjusting the derailleur back with the B-screw to make room for the 11-42t without using the extender. I tried this but found that I had to crank the B-screw all the way down to barely clear the new cassette. With the derailleur all the way back the chain coverage on the 11t was reduced by nearly 20%. A 10 speed 11-42t cassette has a wide gear range which may be uncomfortable for some but I welcome the extra low gear on the steep grades. 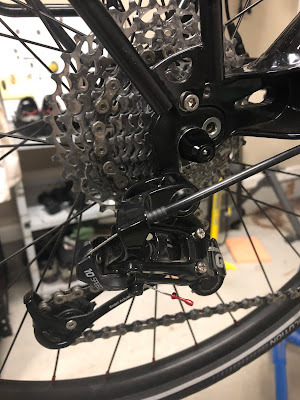 Going with a 11 speed cassette would bring the gear range back down to a more normal range. 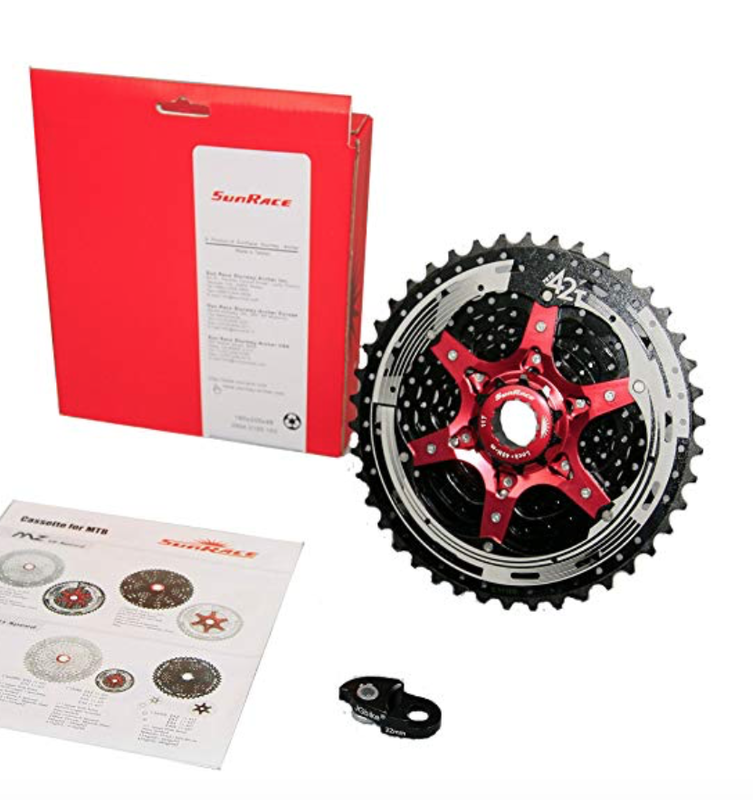 However your other drivetrain components would have to be 11 speed compatible. Once the 11-42t is installed and the derailleur is adjusted then the next next step is to figure out the crankset configuration. 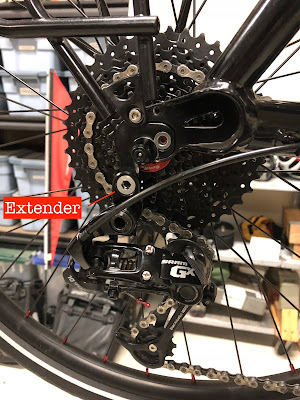 After toying around with a couple of different crankset ideas I'll have more to say. Existing 11-36t with Sram GX derailleur.